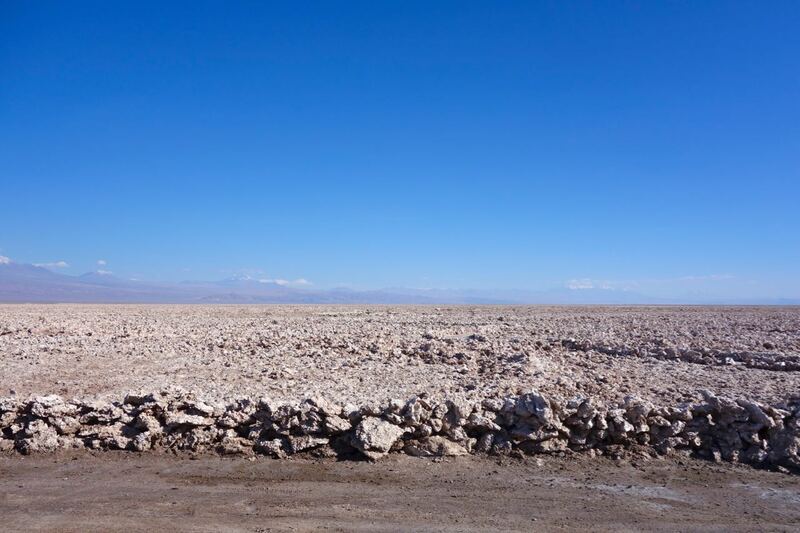 Atacama Desert in northern Chile is known to be the driest place in the world. Before arriving, I envisioned super dry skin and chapped lips, but strangely enough, it was not as dry as I thought. I have had drier skin in NYC in the winter. 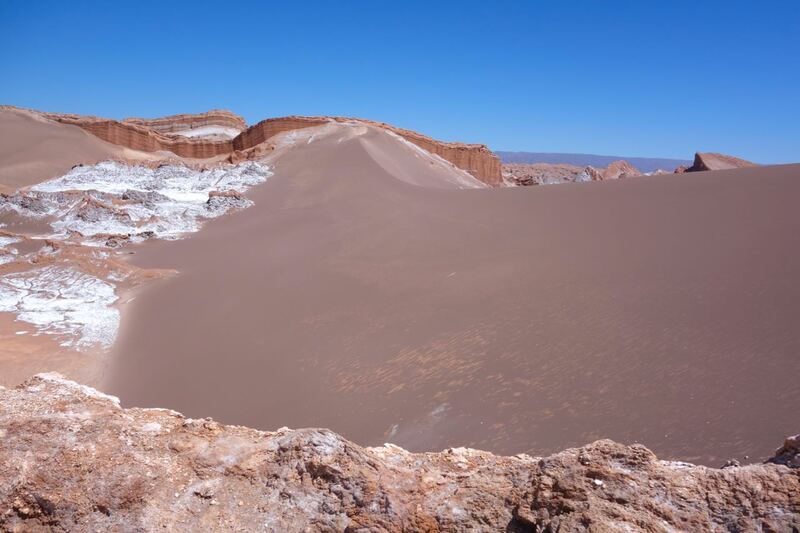 What is interesting in Atacama Desert is its Martian landscapes, salt flat and lagoons, geysers and wind-swept canyons. 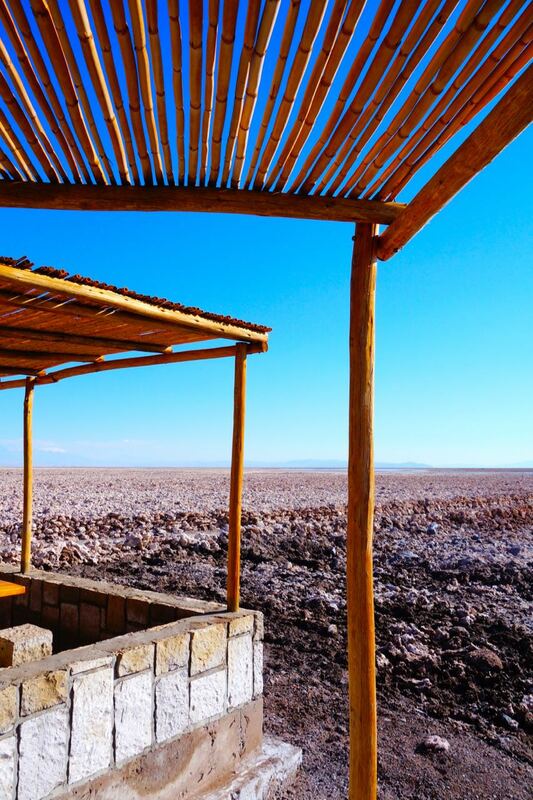 I stayed at the Tierra Atacama Hotel in San Pedro de Atacama (2,400m) where rooms are on a full board basis and they guide you on excursions to visit the surrounding terrain. We were picked up from the airport in Calama and the drive to the hotel was a little over an hour. 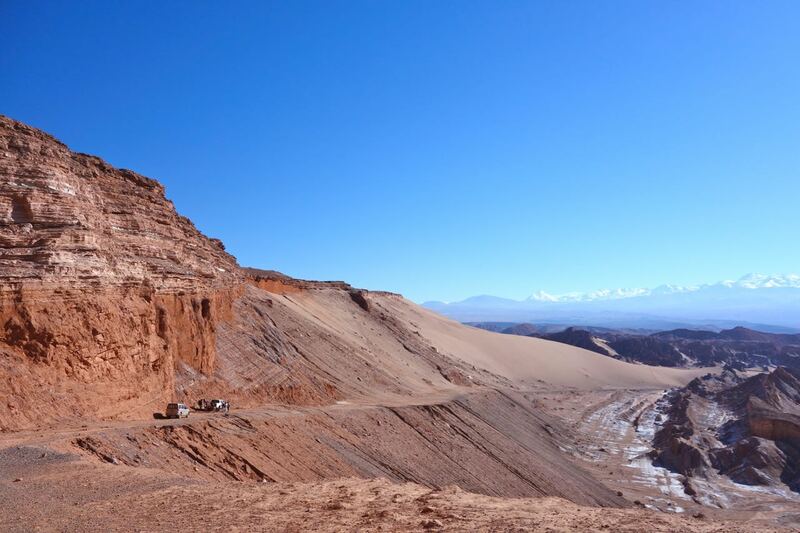 San Pedro de Atacama is a small town mainly used as a base to visit the surrounding area. There are many shops and cafes as well as hostels in town. 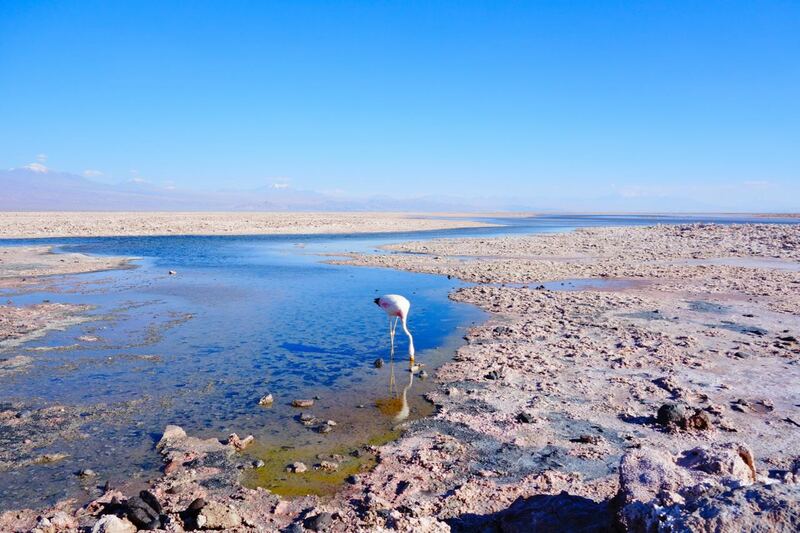 Our first excursion was to the Atacama Salt Flat where three types of flamingos can be found feeding on the algae in the salt lakes. We didn’t see many of them though, perhaps it was not the right season. 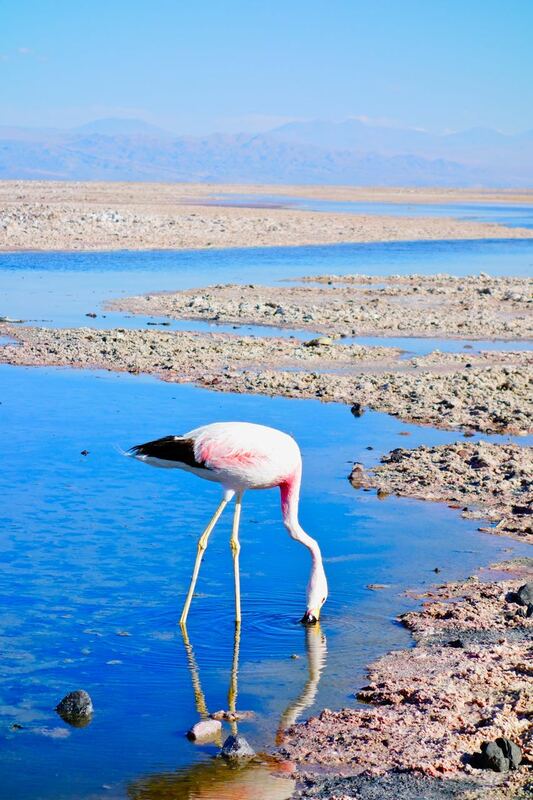 Atacama Salt Flats encompasses 3000 sq km and is the third largest salt flat in the world. 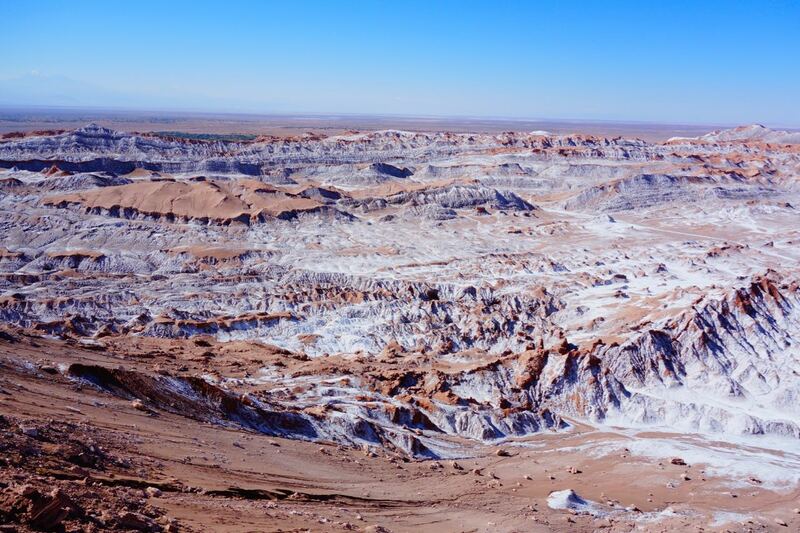 Other than the salt flats, Atacama is famous for its otherworldly landscapes. I was told that NASA experimented with their Mars exploration equipments here in the Death Valley because of the similarity of terrain. Although we are in a desert area, there are hot springs and lagoons dotted here and there. Water is truly an unexpected find in this terrain. 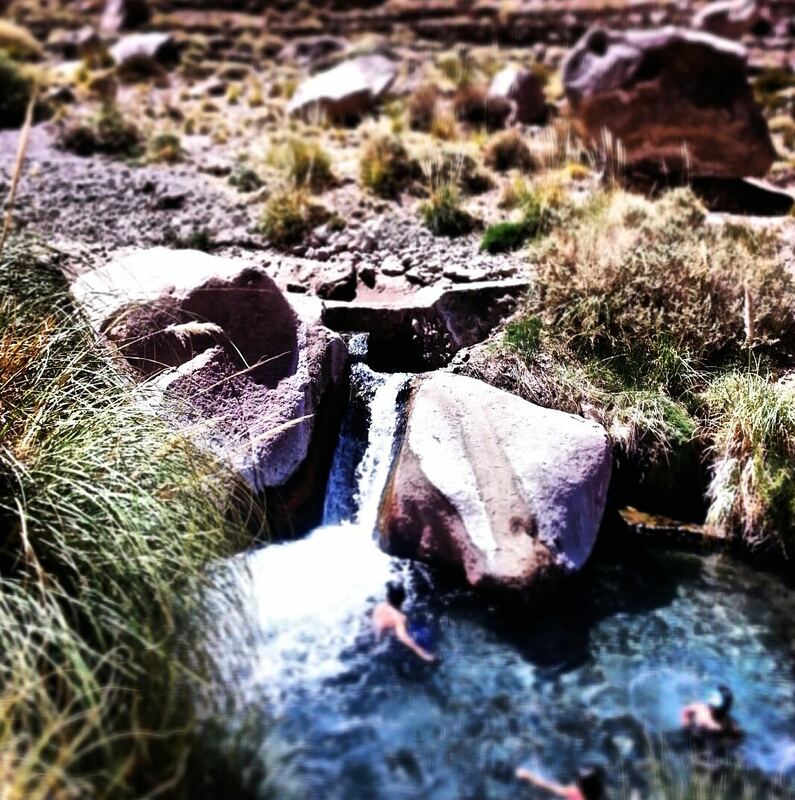 You can hike to the Puritama Hot Springs and dip in its pools. The water is about 33 degrees Celsius so actually not that hot. Or float around in Cejar Lagoon as salty as the Dead Sea. Make sure you don’t try to swim like you normally do because your feet will float up making your head dip into the water. Always “sit” into the water and paddle around backwards. Going to Cejar Lagoon is like going to the beach for the locals. One of the full day activities we did was going up to El Tatio Geysers at an altitude of 4,300m. We were there at the crack of dawn to watch the sunrise and geysers in action. I got a little woozy after a few hours up there but fortunately we descended soon after breakfast. The small rocks are there to warn visitors not to get too close. I heard that one year a tourist fell in and got boiled alive. Yikes! There is a small oasis where lamas and alpacas graze. 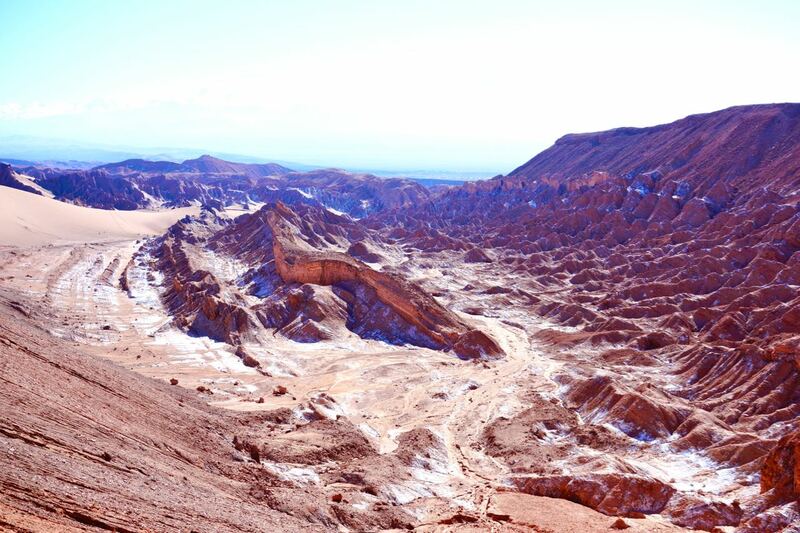 It is a shame that few visitors to Atacama Desert visit the ancient petroglyphs in the area. They were ways the ancient people left messages or gave directions or even recorded history. There is not much in terms of nightlife here in Atacama but we were dead tired after all the activities of the day. There is very little light pollution here in the desert, so do go to the observatory nearby for some proper star gazing. I learned to identify the Southern Cross which is the iconic constellation represented on the Australian and New Zealand flags. Just like you won’t see the Big Dipper here in the Southern Hemisphere, we Northern Hemisphere people never get to see the Southern Cross.